We are delighted to announce Professor Filip Du Prez (Ghent University) and Professor Holger Frey (Johannes Gutenberg University Mainz) as new Associate Editors for Polymer Chemistry! 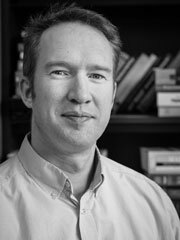 Filip graduat ed from his postgraduate studies in macromolecular chemistry from Ghent (Belgium) and Lehigh (USA) University in 1996, after which he carried out postdoctoral research at the University of Montpellier and at Ghent University (UGent). In 1999, he ultimately became research leader of the Polymer Chemistry Research group (PCR) within the Centre of Macromolecular Chemistry (CMaC) at Ghent University, where he now leads a research group of 25 researchers and the UGent valorization consortium Chemtech as full professor. Filip’s current research focuses on the development of new polymer structures, the exploration of powerful polymer functionalization methods and the design of polymer materials for high-value applications. His team uses a highly interdisciplinary approach to develop in some cases industrially applicable polymer materials. The main research themes of his research are on 1) polymer functionalization to absolute control, 2) dynamic and self-healing polymeric materials such as vitrimers and 3) increasing the functionality of renewable polymers. Read some of his recent Polymer Chemistry articles below! 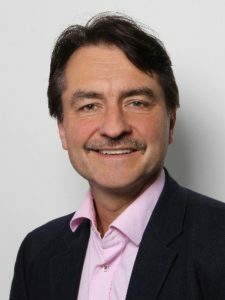 Holger Frey is a chaired Professor at the Institute of Organic Chemistry, Johannes Gutenberg University Mainz and the author of 350 peer-reviewed original publications and reviews in different areas of current Polymer Science. He has been an Editorial Board member for Polymer Chemistry since June 2017 and has now moved role to become an Associate Editor. His scope of interests is broad and comprises ionic polymerization techniques in general, hyperbranched materials (polyethers, polyesters, polycarbonates), silicon-based polymers, multifunctional poly(ethylene glycol)s, block copolymers and polymer nanostructures for drug transport. The current research interest of his group is centered on new functional polymers prepared via oxyanionic ring-opening polymerization, new approaches utilizing CO2 as a monomer, and non-conventional approaches in carbanionic polymer synthesis to generate gradient and multiblock structures, for instance as dispersants or for thermoplastic elastomers. Read some of his recent articles below! As Polymer Chemistry Associate Editors, Filip and Holger will be handling submissions to the journal. Why not submit your next paper to their Editorial Office?